Jessye has been playing piano since the age of 9 with Tatiana Lanchtchikova, and the flute since the age of 11 under the guidance of Adriana Lis. 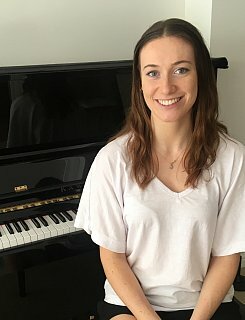 She has been teaching beginners flute for 2 years at St Paul’s and Baradene College, as well as teaching theory classes at Epsom Music School since 2014. She is currently a science student at Massey University. Epsom Music School provides top-class music tuition for children of all ages. Our teachers are highly qualified professionals, who are actively involved in New Zealand’s music industry.